Looking for the best self tanning lotion that won't turn you orange? Tanning Bay Product's line of Moisture Tan Professional sunless tanning lotions and bronzers leave you with the most natural looking tan without turning you orange. And, no smell! Our customers love our sunless tanning lotions and we're so sure that you will too that we offer a no-risk guarantee. If you don't love our self tanners and bronzers, just return them for a full refund! Our self tanners and bronzers are safe and use only natural ingredients including sesame oil, jojoba oil, aloe vera, and vitamin E to give you a dark, healthy glow that leaves your skin silky smooth. 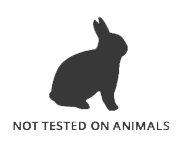 Moisture Tan sunless tanning lotions are cruelty free - they're not tested on animals and contain no ingredients derived from animals. Who says that women should be the only ones with a great looking fake bake tan! Self tanning for men has become increasingly popular that's why Moisture Tan self tanners and bronzers are formulated for both men and women with no added fragrance. They're virtually fragrance free with no perfume smell because everyone wants a great-looking tan!